Lately, we are seeing more and more restaurants exploring nature-inspired menus, catering to the growing demand for healthier food. BOTANY is one of the new players in the healthy eating movement. 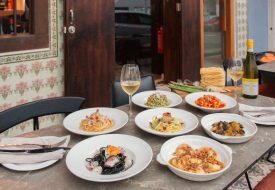 Newly opened along the scenic Robertson Quay riverbank, the restaurant-cafe prides itself on serving wholesome and soulful dishes. 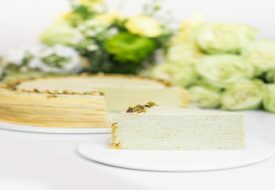 Those who have eaten at the famous Dazzling Cafe at OrchardGateway should not miss this new concept from the franchise, established by the same trio of entrepreneurial women – Cassandra Riene Tan, Serene Tan and Julie Tan. Cassandra joined us when we dined at BOTANY, and we learned that she has made personal contributions to both the values and menu of the restaurant. A home cook herself, she came up with many of the dishes you can enjoy at BOTANY, which adopts her own beliefs in simple, healthy food. You can expect the food there to be made without the artificial enhancements of MSG and preservatives. 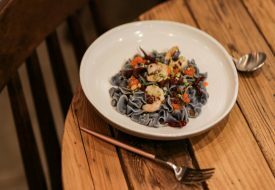 The pasta is organic, and all dishes use Himalayan salt instead of table salt for seasoning. Apart from ingredients, BOTANY also uses healthier cooking methods, such as air-frying, to capture the natural flavours and nutrients. The result of all these efforts, as we have tried for ourselves at the restaurant, is delicious and hearty food. 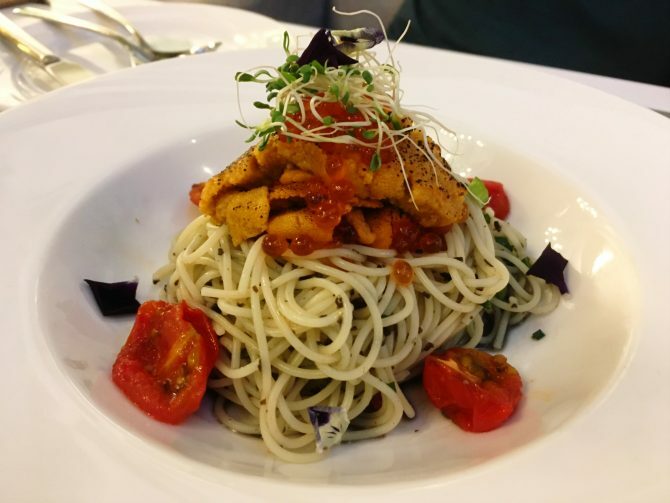 If you doubt that simple and healthy cooking can produce tasty food, we think one meal at BOTANY will change your mind. We kicked off our meal with the Homemade Hummus with Baked Nachos ($12+). It’s a light yet flavourful appetiser that woke up our palate gently. 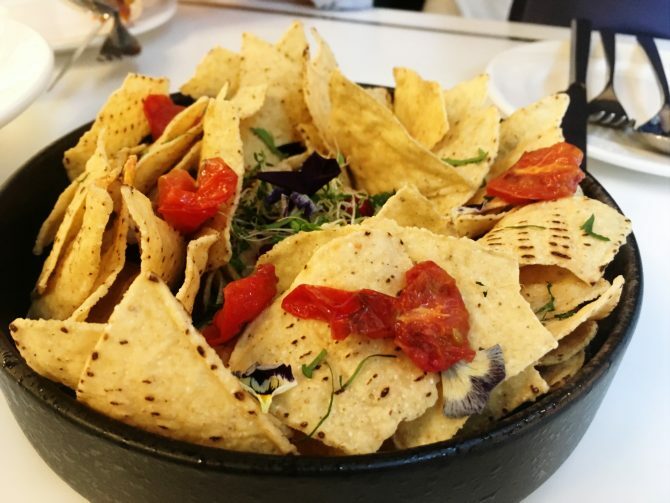 The hummus lies deep in the middle of the well of crispy nachos, topped with cherry tomatoes, edible flowers and sprouts. As we love hummus, we used the chips to gobble up the dip quickly. It has a less full and creamy flavour than usual hummus, which we found refreshing. Those who find the garlicky or sesame taste of hummus overpowering would also enjoy it. 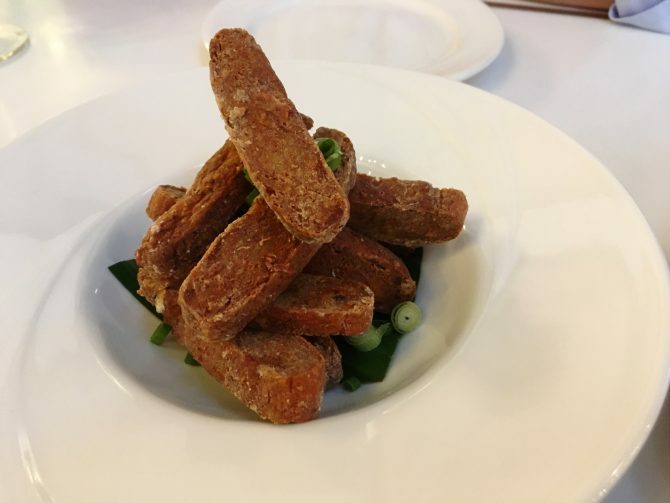 This appetiser is just one of the many vegan dishes on BOTANY’s menu. There are vegetarian, dairy-free and gluten-free options, too. The restaurant seeks to accommodate a variety of dietary requirements. For our resident vegan at the table, they were kind enough to let us try more of their vegan dishes. As Earth Day approaches, having a plant-based or simply dairy-free meal at BOTANY is a great way to treat our planet and fellow living creatures with loving care. Our second appetiser is the Otah Chips ($13+), a unique dish that turns the familiar mackerel fish into finger food. Mildly spicy, it really got our taste buds tingling and awake! The otah is sliced and fried to a crunchy exterior, but it’s quite soft and tender on the inside. We paired our two appetisers with the Curried Cauliflower Soup ($10+), an aromatic vegan dish made with coconut milk rather than cow’s milk or cream. 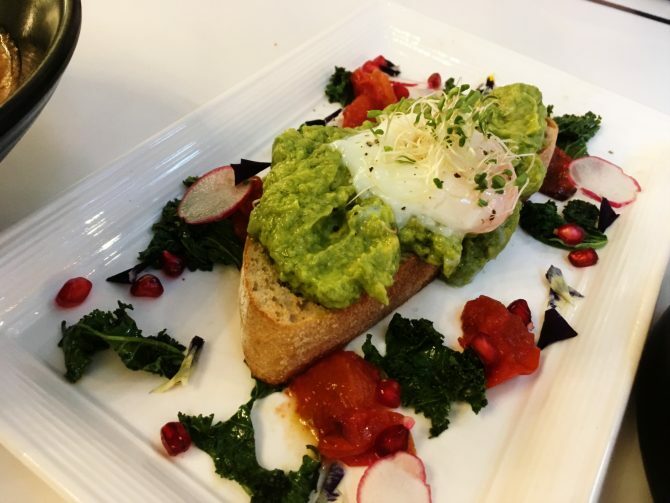 We can see BOTANY becoming a popular brunch spot – there’s a lovely al fresco dining area, and the menu offers a range of comforting dishes that will get you ready to start your day. The Avocado Toast with Egg ($18+), for example, is a hearty take on the classic brunch treat. We are immediately impressed by the generous portion of avocado. It’s also mashed into a creamy spread, not sliced up like on most avo toasts; it’s much easier to eat the avocado with the bread this way, and you can get a delightful burst of the avocado’s natural creamy texture. Spoon some of the sauteed kale, tomatoes and pomegranates on top of each bite for even more refreshing flavours. This dish is vegetarian and does not have dairy, as the toast is a vegan sourdough. Vegan diners can make it really vegan by requesting for the poached egg to be removed. 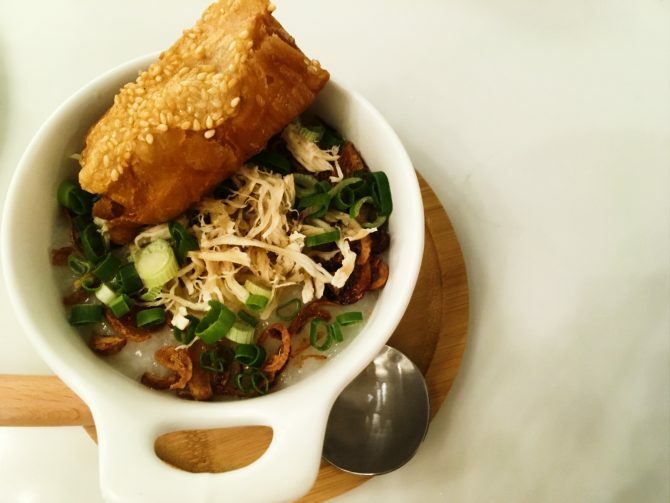 A truly Singaporean comfort food, the Granny’s Chicken Congee ($12+) might be a signature dish at BOTANY. It’s great for breakfast, brunch, or any time of the day, really. We got a kid’s serving portion here, so don’t worry; the actual bowl you would get at the restaurant is at least double this size. What makes this chicken congee special is that it is made with completely in-house chicken stock. No ready-made chicken stock (that contains MSG and more junk); this chicken stock is made fresh from boiling chicken in the restaurant’s kitchen. That chicken used to make the stock is then shredded and sprinkled on top of the slow-cooked rice congee. Light and nourishing, it really reminds us of the homecooked chicken congee made by our parents and grandparents. 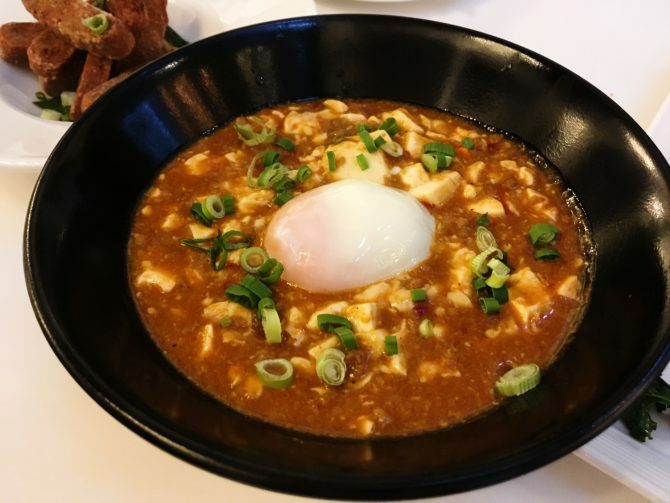 If you are a vegetarian or vegan who still has meat cravings sometimes, or you’re transitioning into a plant-based diet, the Impossible™ Mapo Tofu Bowl ($18+) is the dish to satisfy. Chopped up silken tofu pieces are mixed with Impossible™ Foods plant-based “meat” in a hearty stew on top of Japanese rice. Szechuan spices give the stew added fragrance and mild heat. Another comfort food dish that makes us almost forget we’re not at home, but out in a restaurant! It is made without dairy, so if you request for no egg, it can be made vegan. Another favourite we tried is the Uni Truffle Capellini ($28+). This cold-tossed pasta dish is perfect for those who love uni, the Japanese sea urchin delicacy, and truffle fans. Once again, the serving of uni – a luxury that typically comes with a hefty price tag, by the way – is very generous and combined with salmon roe, and that’s for just $28+! Accompanying a comforting meal at BOTANY is the charming ambiance of the whole place. 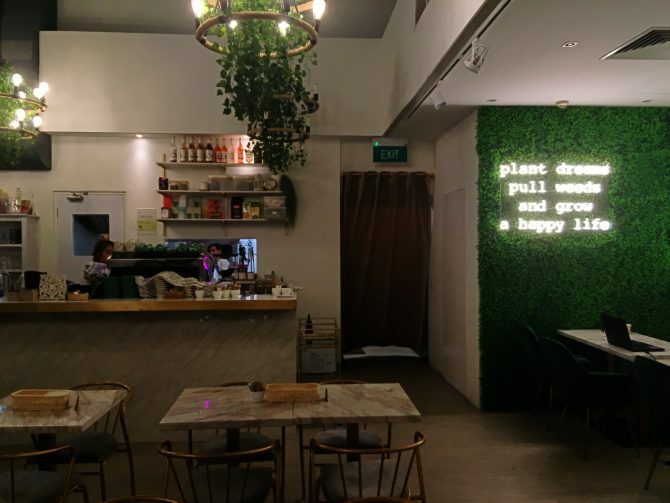 The interior is decked in cheery and nature-inspired decor, much like its food, and gives off a cosy and intimate vibe. We felt uplifted just being in the casual yet classy space. 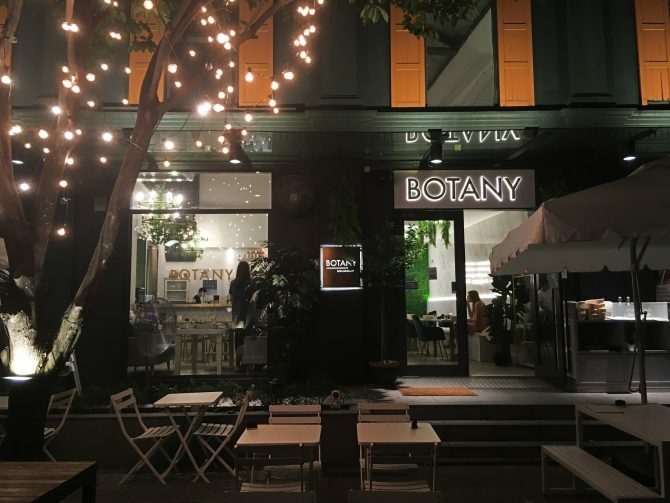 Whether you are dining out with the family, your friends, or for a romantic date, BOTANY is a wonderful place to warm the stomach and the soul.